Hmmm, they all look the same. How do I choose? 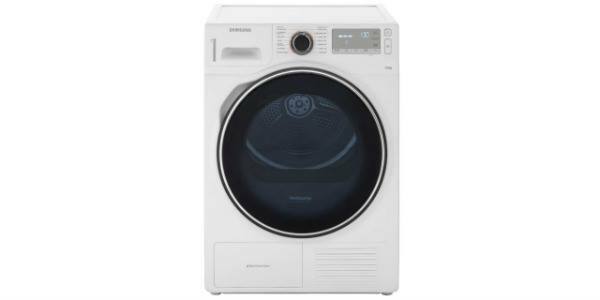 Welcome to washingmachinereviews.co.uk, my name is James and I’ve created this site to try to help you make an informed choice when you find yourself with no washing machine, and a steadily increasing pile of dirty laundry. Faced with the prospect of lugging huge bags of washing to the launderette (can you even remember where one is?!?) you know you need to do something about it sooner rather than later. Choosing a new machine sounds easy but actually there are lots of factors to take into account, none of which you probably have the time or the inclination to think/worry about. I will do my best to explain all the key points you should consider when deciding which machine to buy in 2018 – you can then (hopefully) make a quick and painless decision and won’t end up on first name terms with the dreaded repair man. Which products do we review? Given the name of the site this shouldn’t come as a surprise to anyone. What may be slightly less obvious is that these fall into 2 broad categories, namely freestanding and built-in models. You may already know which one of the two you’re looking for, or you may still be making your mind up. 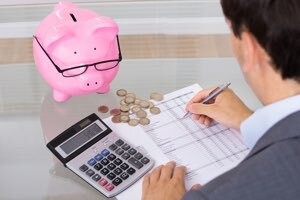 As a general rule you’ll pay more for an integrated unit. We’re not 100% sure how the manufacturers justify this. The dimensions of the casing tend to be slightly smaller as the unit needs to fit behind a kitchen fascia and still be flush with your other units, so maybe that explains the higher cost. We’ll advise you of both options and you can make up your mind depending on your particular circumstances. If drying clothes on a line outside or leaving them strewn over all the heaters in your home isn’t your idea of fun (and 2 separate machines are out of the question) then you might want to consider a combo. These have come a long way in recent years and you can now find ones which do both jobs extremely well for a price that won’t make your hair stand on end. We’ll try to steer you to the best options. 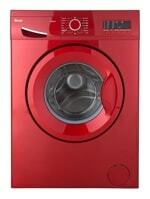 As with washing machines, combos can also be free-standing or integrated. Below you’ll find quick links to our recommendations for both. Some might see a tumble dryer as a bit of a luxury but I have to say, from personal experience, buying one was one of the best decisions I made. That might sound a bit bonkers but, if you have the room and the money, I can’t recommend buying a one highly enough. 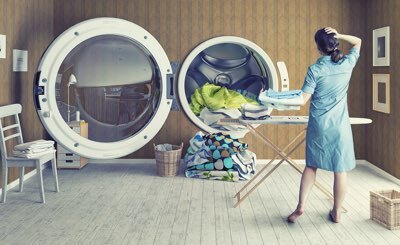 I used to dread emptying a load of washing as it meant either hanging it on an unsightly rack or strategically placing it on every radiator in the house (no use in the summer, of course, and hardly ideal in the winter as you freeze to death while your clothes enjoy all the benefit of your central heating! Options here, as with the others, are freestanding and built in (you’ll find there aren’t many integrated models on the market though). Additionally you’ll need to choose between vented and condenser options. Without going into too much detail a vented unit has an exhaust hose which will need to be fitted to an exterior vent in your property so that warm air and moisture can escape. Condensers on the other hand don’t require any specialist fitting and have a reservoir that collects and stores excess water (you’ll need to empty this regularly though). Below you’ll find links to our recommendations for tumble dryers and also specifically condenser models. 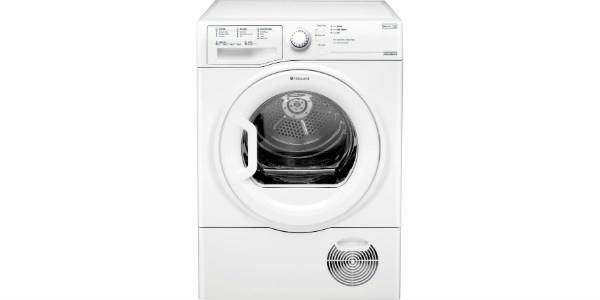 Although you can buy integrated tumble dryers you’ll find they are few and far between – you can find out more in our tumble dryer buying guide here. It wasn’t that long ago that the only colour you could find appliances in was white. Things have come a long way though in recent years and you can now find a wide range of colours available including, black, silver, stainless steel and even a pastel and primary colours for the more adventurous (like this rather striking model from Swan on the right). The most popular colours (other than white) are black and silver, so below we’ve added links to our posts offering more buying info and also our recommendations for these. Once you know whether you’re looking for a freestanding or a built-in model, one of the next major decisions you’ll need to make is what size machine you need. 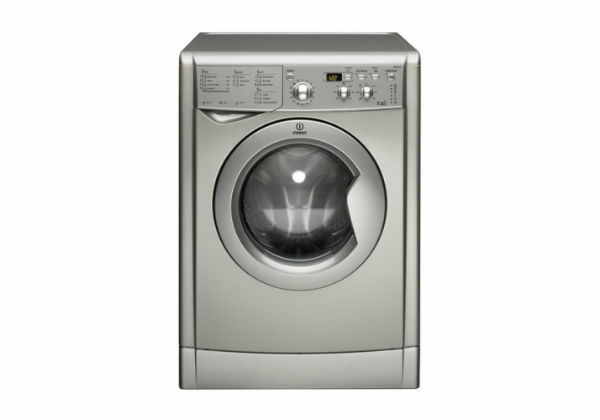 What this means is the size of the drum and how much laundry it can handle in one load rather than the actual physical dimensions of the unit itself. Currently you’ll find models varying in size from 3kg all the way up to 12kg. You can find even bigger models than that but over 12kg you tend to be entering ‘commercial’ territory so these aren’t stocked by most mainstream retailers. You can find more information on what size will suit your needs here but as a rough guide. For the vast majority of people cost will be an important, if not the most important, consideration when choosing a new appliance. 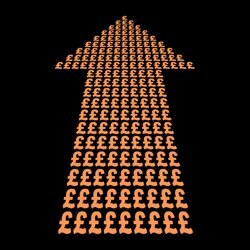 Prices range from about £180 to over £1300 with the majority priced somewhere between £250 – £500. Obviously a Miele at the top end of the scale is going to be a very fine machine which will look at home in even the fanciest designer kitchens but that doesn’t mean the more reasonably-priced options will be no good. Quite the opposite in fact. 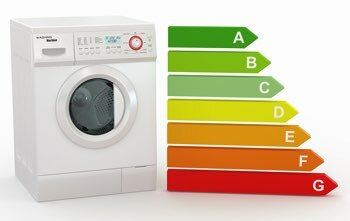 One of the most common questions we get asked is “Can I get away with buying a cheap washing machine?” These days our answer would be a resounding “Yes!” Whilst it is always true that ‘you get what you pay for’ the build quality of appliances now is so good that even the entry level models can do the job perfectly well and last for years and years. You’ll find the vast majority of the products we review are well-built and will last. Having said that you’ll almost certainly be able to notice a difference in overall look-and-feel between a £200 and a £600 model. 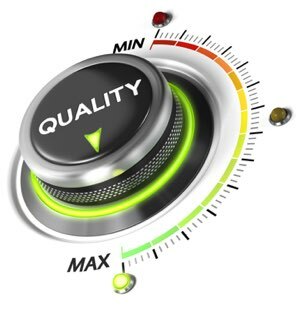 The key is to make sure that the unit you buy isn’t going to fall apart within a short space of time so it’s worth noting our ‘Build Quality’ rating on each individual review. You’ll also want to pay attention of to the warranty offered with each model. The standard is 1 year but some come with as long as a 5 year parts and labour guarantee which gives real peace of mind. 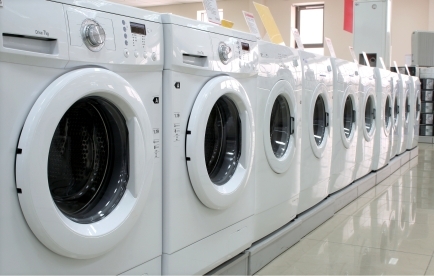 For some people the number and variety of the programmes offered is key to deciding which machine to buy. Others couldn’t care less, use the ‘Daily Quick Wash’ every single time and wouldn’t even know what the other programmes do, let alone how to use them. When we review a machine we’ll always aim to let you know the range of programmes on offer so you can decide if they will be adequate for your needs. 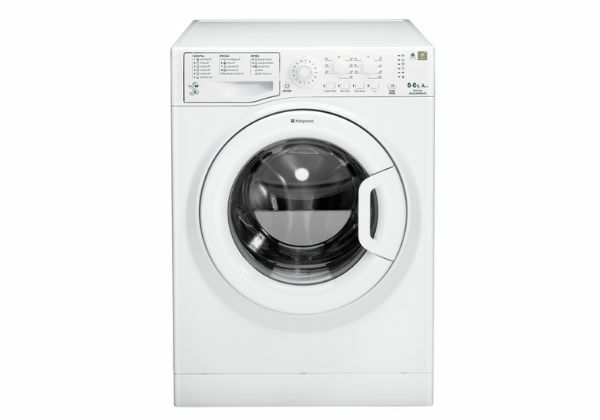 Some units come with a very simple selection whilst others have a huge array of options, ranging from cottons to woollens and everything in-between. If you need even more detail than we go into you can always do a search on the manufacturer’s site for the model number to find the full spec. 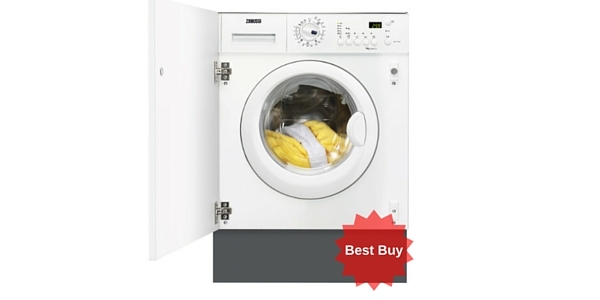 For many people having a quiet washing machine is a must! If you have a combined kitchen & living room for example, it’s no fun settling down to watch you favourite TV program only to find the spin cycle just kicked in and you can’t hear a word. Many people also use delay timers to schedule their appliances to operate at night, to take advantage of cheap electricity for example, and don’t want to be kept awake by the noise. As part of each write-up you’ll notice a ‘Quietness’ rating and we’ll also always try to give you a little more detail within the review itself too. 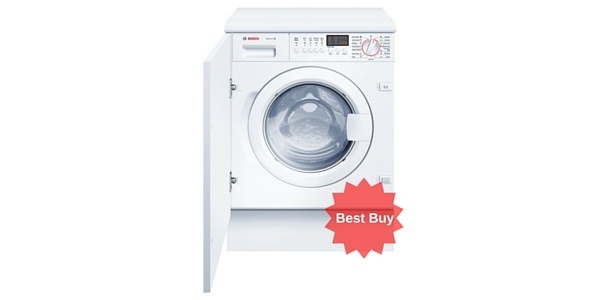 A standard washing machine has a 6kg drum which is probably fine for a couple or small family. The largest machine on the market has a massive 12kg capacity which is getting into Brady Bunch territory. 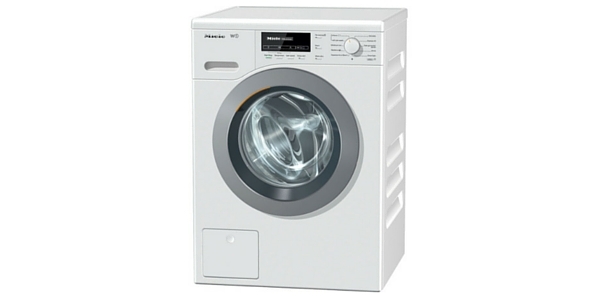 The majority of machines we review are 7kg or 8kg (even 9kg) which will be more than adequate for most families. As an example an 8kg model can handle approx 40 T-Shirts in a single load (handy if there are 40 of you and you only wear T-shirts). Sure you get the general idea though. 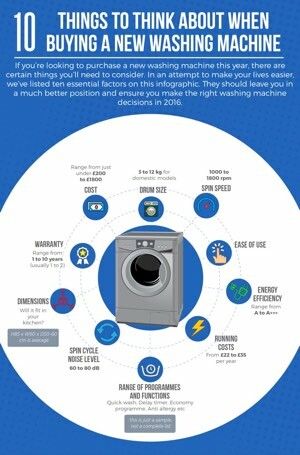 One thing to pay attention to though is, if you buy a washer/dryer combination you’ll often find that the capacity is different for each. Normally the allowed wash load will be bigger than the drying capacity as the technology for the different operations is different. This isn’t the end of the world but you need to be aware of it or you’ll end up wondering why your clothes are still damp. We’ll go into much greater detail on this in our buying guides but the key point to grasp is that the more efficient a machine is, the less resources it will consume, and in turn the less it will cost you to run (see the point below) and the smaller the impact on the environment. The downside to efficiency is unfortunately that it often comes at a cost, with the more efficient machines generally being more expensive to buy. That’s not to say you can’t find economical models which have top efficiency ratings but you may need to compromise in other areas. The good news is that this info is now readily available and is published on all decent retailers websites so you can make an informed choice. 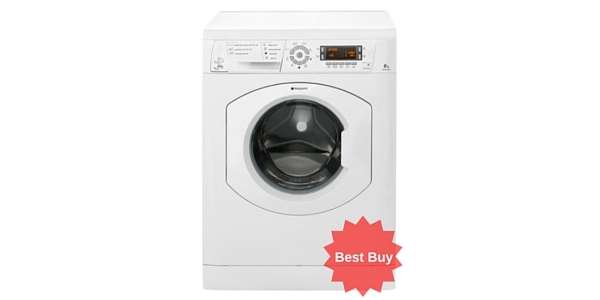 There’s no point getting a great deal on a shiny new appliance only to find out it costs the earth to run. Wherever the information is available we’ll list the approximate annual running cost as part of our write-up. 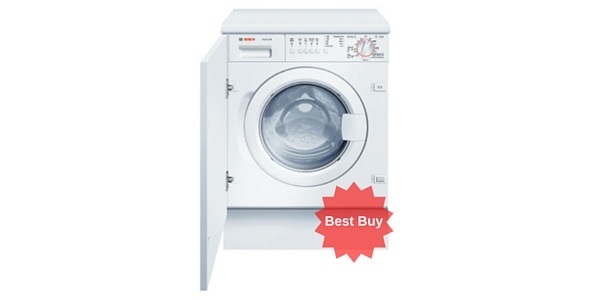 As a general rule most decent (ie fairly eco-friendly) washers will cost between £25 and £40 a year to run. Obviously if you have it running 24-7 you’ll pay more but we’ve based our calculations on an average household paying an average amount for their electricity (although at the rate the avaricious energy companies keep raising their prices it’s hard to keep up!!). A combo unit will cost more, assuming you take advantage of the drying function, maybe £100-£150 per year. You’ll see a ‘Running Cost’ rating on each page to give you a good idea of how the option you’re looking at compares generally to other similar models. 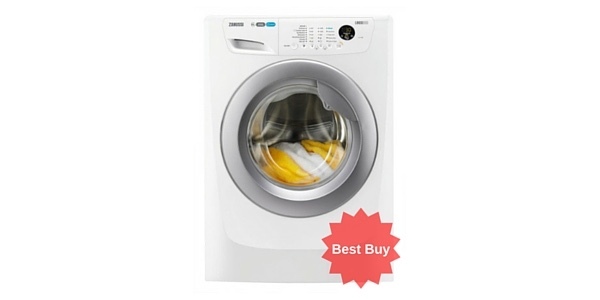 Take a look at our ‘best buys’ or check out our other 2018 washing machine reviews here. 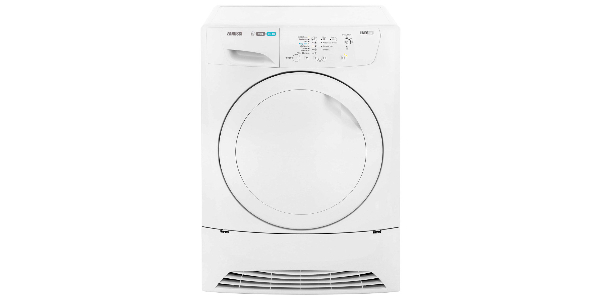 We tend to focus our reviews on the better products on the market and don’t cover everything so it’s a fair bet that, if it appears on the site, it’ll be a pretty decent appliance. Our aim is to help you to decide between the various options without going mad in the process. If you’ve got the energy please take a look at our buying guides here where we’ll aim to break down what it is you actually need, and match it to what the manufacturers are currently making in. One thing I should mention before you go any further is that currently this is a UK-based site and we’re only in a position to offer UK reviews for the moment. We hope to expand the site to USA and beyond soon but for now we’re limited to products available for sale in the United Kingdom. Apologies to everyone else for now. And (almost) finally, we love to hear your experiences – good and bad – so if you’d like to share them with our readers please use the form on the appropriate page. You can choose your own ratings for each key area and also write a general review. Our aim is to provide the best washing machine reviews that we possibly can and your feedback really helps to make this possible! When you’ve made up your mind which machine to buy the last thing you want to do is have to trawl another bunch of websites to see who’s offering the best price. We’ve listened to your feedback and now offer a chart with each review listing that model’s price at each the major retailers who stock it. Our prices are updated at 5am each morning to ensure they are accurate and up-to-date. 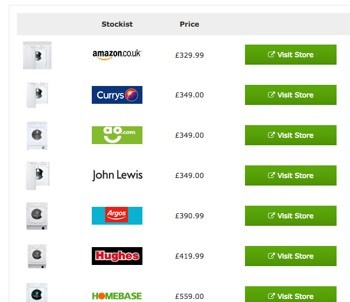 Currently we’re comparing ao.com, John Lewis, AppliancesDirect, Amazon, Currys, Boots Kitchen Appliances, Homebase, Argos, Electrical Discount UK & Hughes.co.uk and we’ll be adding more retailers as and when we can. Please remember though, that the price quoted doesn’t necessarily include delivery, installation etc. Some retailers offer free delivery and some don’t. Most will charge for additional service such as plumbing in your new units or recycling the old ones. To ensure you get the keenest price we recommend you check the top few listings to calculate the actual price inclusive of any additional charges.